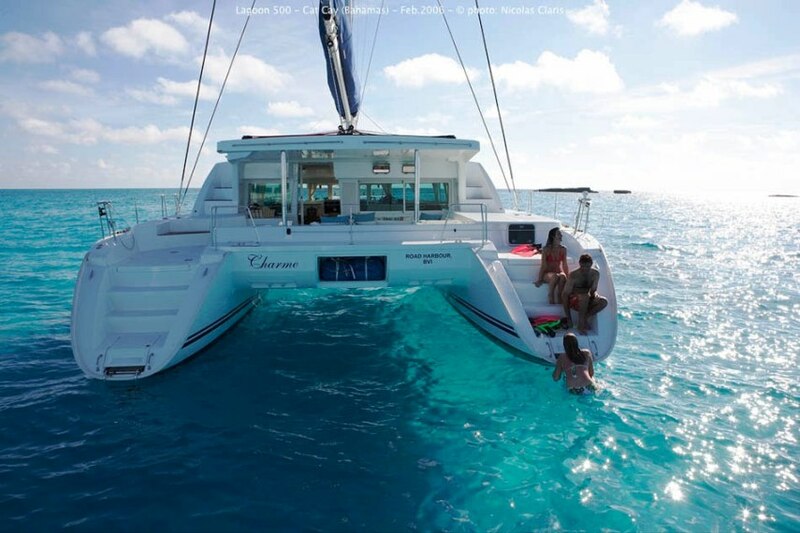 Luxury crewed catamaran MYSTIQUE is a custom built Lagoon 500 available for charter in the Greek Islands. 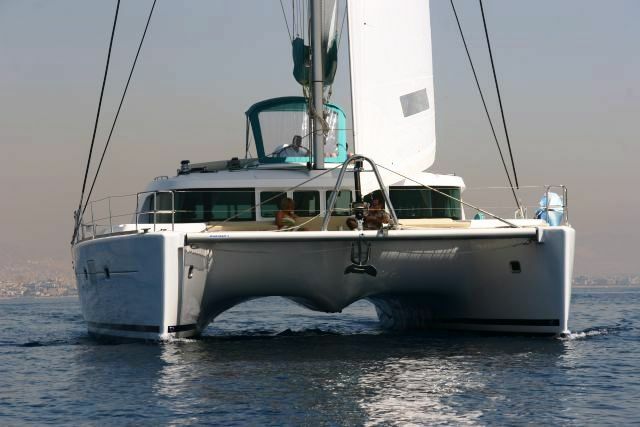 This majestic catamaran is the ideal spacious and stable yacht on which to enjoy the beautiful Greek islands. 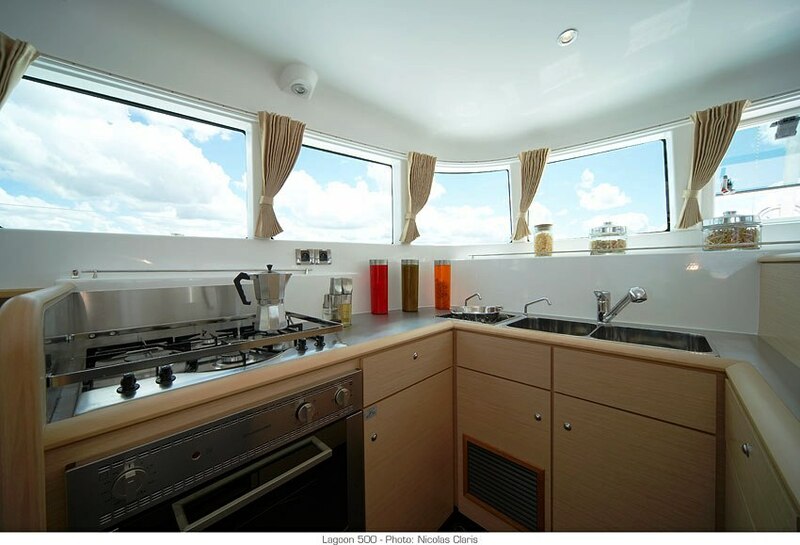 The Lagoon 500 catamaran is fully air-conditioned and equipped with a range of facilities including audio visual equipment such as TV, DVD and CD players plus internet, phone and fax for those who need to keep up with things. 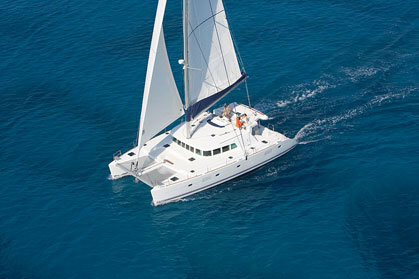 MYSTIQUE is one of the very rare catamarans which offers spacious accommodation for up to 10 guests plus crew. 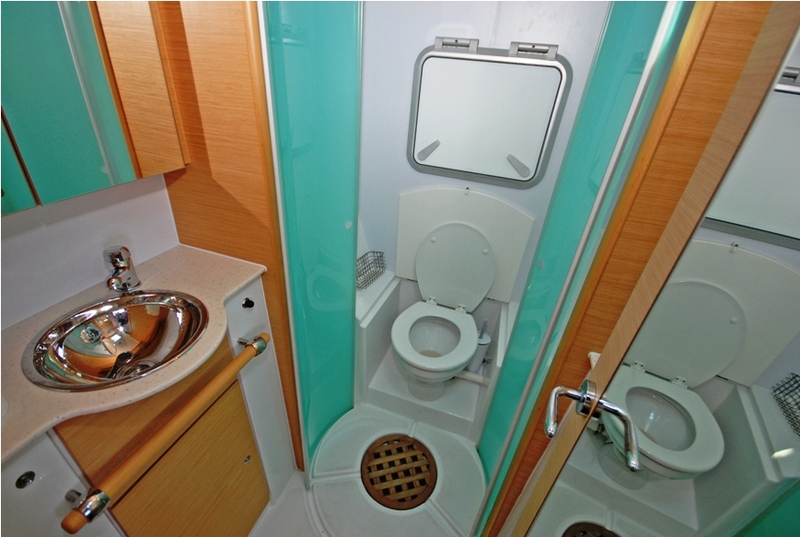 Each cabin is fitted with its own ensuite. 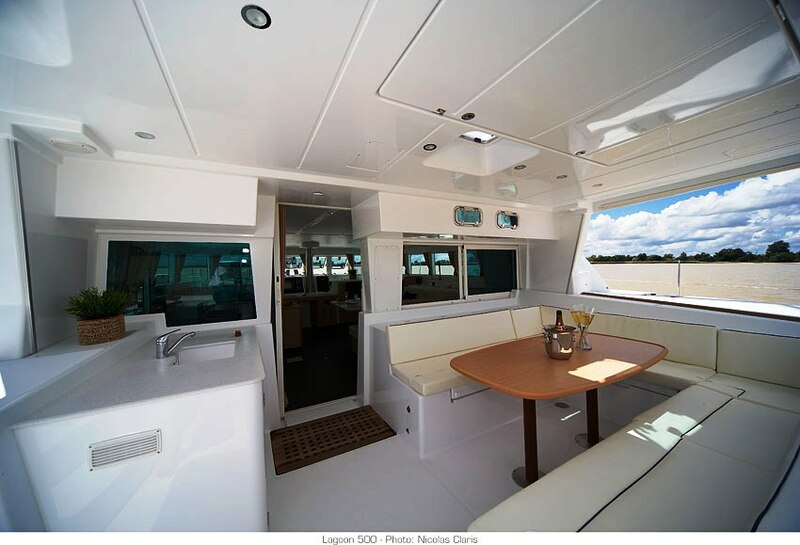 The Lagoon 500 offers masses of space inside and out. Wide panoramic windows fill the salon with plenty of light and allow for spectacular views . 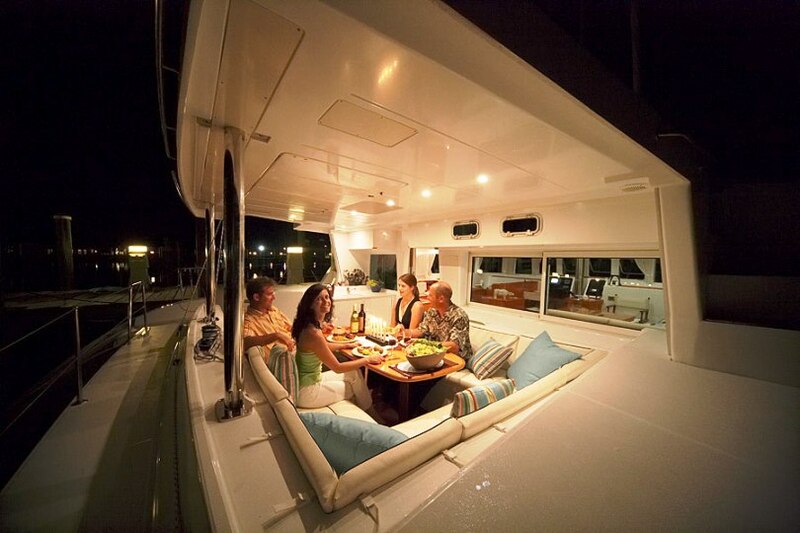 On deck, the Lagoon 500 has an alfresco dining area on the aft deck and plenty of sunning space forward and above. 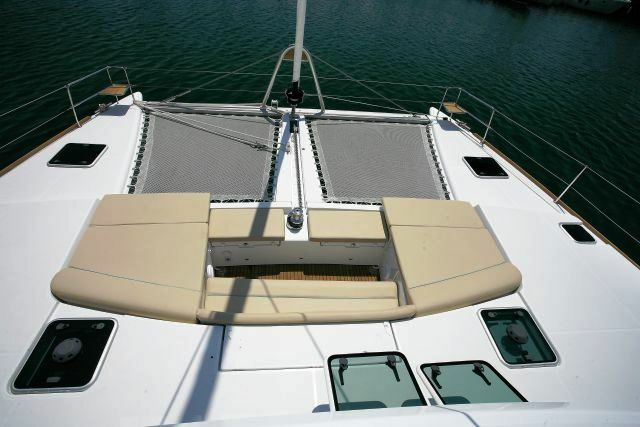 With a cruising speed under power of 10 knots, the Lagoon 500 is the ideal cruising yacht for all conditions. She is based in Athens and available for yacht charters throughout the Greek Islands including the Ionian Islands, Cyclades, Sporades and the Dodecanese. 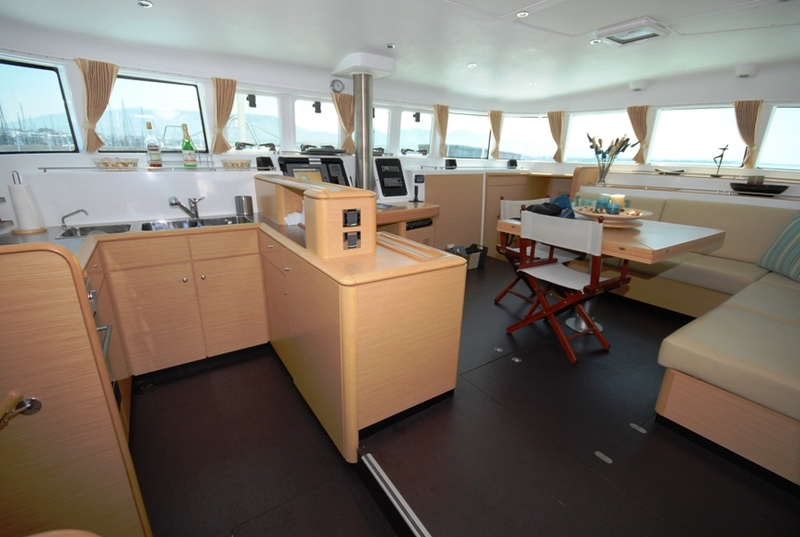 This Greek luxury catamaran offers spacious accommodation for up to 8 to 10 guests in 4 staterooms, each with a queen sized bed and en-suite bathroom. 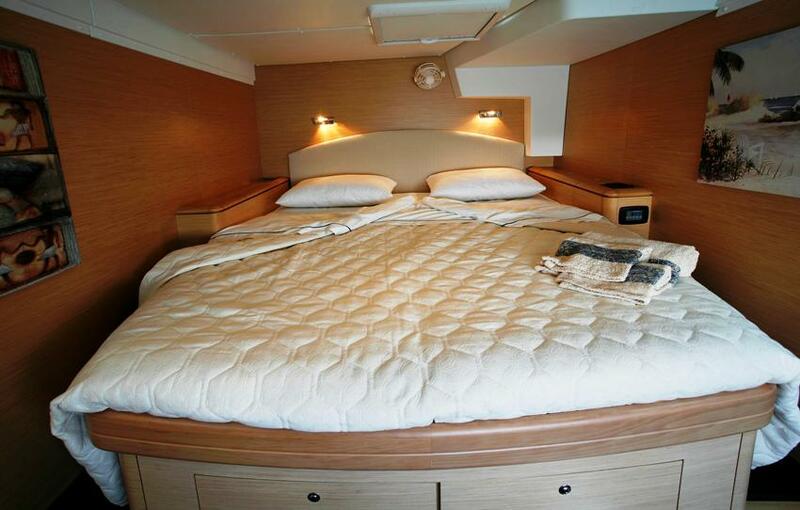 There is also an additional cabin with upper and lower bunks and en-suite.